Speak to one of our friendly and experienced childcare experts and find your nanny today. Find the perfect match for your family – with a comprehensive range of high quality and flexible childcare options. Every Harmony at Home nanny, maternity nurse and child carer undergoes a strict vetting and interview process before they can register with us. Boost your professional portfolio and CV with our range of in-house Harmony at Home courses for professional child carers. Every course is written by qualified Norland nanny Frankie Gray. Purchase products from our Professional Nanny Shop. Looking for a new role? Our agencies are always interested to hear from experienced nannies and childcare providers. We are always looking for new franchisees – motivated childcare experts who are interested in starting up a nanny agency branch of Harmony at Home in their local area. Over the last 12 years, we have developed a simple and successful model, which provides a profitable source of income for our franchisees – and a guaranteed Harmony at Home level of childcare provision to local parents. 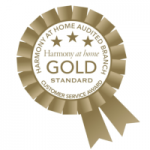 Want to know why Harmony at Home is one of the UK’s most trusted and loved childcare and nanny agencies in London, the UK and Overseas? Our founder Frankie Gray, a qualified Norland nanny and mum of three, started Harmony at Home Nanny Agency to give parents outstanding levels of service and care. Watch Frankie explain why Harmony at Home takes the trouble to meet the needs of every single parent – and find the perfect solution to fit their lifestyle and needs. We really care about what we do, that’s why all our Branches have to demonstrate through an Audit that they meet our best practice guidelines. 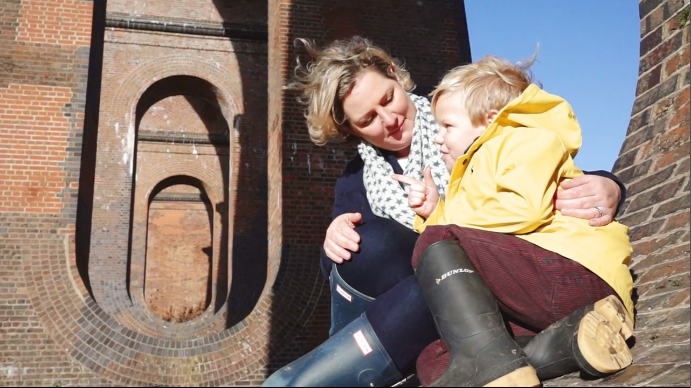 Watch Norland Nanny Frankie Gray explain how we can help you find your perfect Nanny in London, the UK or Internationally. This is a superb and rare full time nanny role with a 7 month old baby in a warm and welcoming family in Haywards heath, West Sussex. A lovely family are looking for a nurturing nanny to help with their precious first-born baby girl. The baby will be 7 months old when childcare is required. I had a very good experience with Harmony at Home. I found the service very responsive and professional and tailored to my requirements. In a short period of time I got the perfect candidate for my family and the kids love her. I would recommend using your services to anyone. Alessandra Fumarola, London. Jean-Claude from Harmony at Home Nanny Agency Devon and Cornwall provided me with a consistently high quality service, which was very efficient. He quickly found me the right nanny. We needed childcare at very short notice, the nanny found was excellent, she exceeded our expectations and was very caring and capable. Many thanks for all your help in finding us a nanny. You really listened to what our needs were & managed to send the perfect candidate. Our own modern day Mary Poppins! It is going to make going back to work so much easier, knowing there is someone I really trust at home with my children. Thank you for sending us our temporary nanny, she has been excellent. What a great service you provide. Thank you again. Chris & I would like to thank you for finding our amazing Maternity Nurse. She got us up and running and into a routine quickly. The service you provided was excellent and very thorough. I can highly recommend your services, many thanks again. Finding a new nanny is rarely a straight forward process, but it was made considerably easier for us once we contacted Harmony at Home. The hands-on insightful approach matched our requirements with the candidates’ expectations and experience. All in all, this resulted in us finding a great new nanny whom we are very happy with. Harmony at Home delivers a professional yet sensitive service which we would highly recommend. We felt the service was very professional and requests were dealt with very promptly. A number of very suitable candidates were available. We are very satisfied with the service, and have also had very positive feedback from prospective nannies too! Julia, London. Thank you for helping us find our nanny for our son. Things are going very well and she is absolutely wonderful with him. The service provided was excellent, you were very helpful. The service is fabulously efficient. Their staff are friendly and knowledgeable on a personal level. Great advice was given on all areas. A really lovely approach – we will be recommending for a fast track route to ‘Harmony At Home’ – it really works! Thank you so much. Having previously used the Norland agency to find a nanny I was nervous about whether a regional agency could deliver to the same standards of quality and care. I believe that Harmony at Home did just that. The attentiveness, speed and quality of service provided by Harmony at Home Essex were impressive. One month in with our new nanny and both my husband and two young boys couldn’t be happier. Thank you Michelle! Having just moved house and into a new area, Frankie at Harmony At Home was immensely helpful at a fairly stressful time and I am delighted with the Nanny we have found through Harmony At Home. We found the service Harmony at home provided to be very efficient, comprehensive and better than the other agencies we used. I have no hesitation in recommending this Nanny Agency, I was able to go to work knowing that my twins were happy and that the fit with the nanny sourced by Harmony at Home was right.